NEWS LIVE: This report contains news live as it develops and is being updated continuously. Bookmark and refresh the page periodically for updates. Update: 7 p.m. – Authorities confirm the suspects are described as a black male and a black female, both wearing “trucker hats.” Both suspects were wearing shorts. The male suspect was described as wearing “jeans shorts” and the female is described as wearing a straight lip ring and wearing “booty shorts” (really short shorts). She also has long hair. Both suspects were described as being “short and stocky,” approximately 5 foot 7 inches tall. New and updated information now says the suspects were last seen leaving northbound on Main Street, Womack said. 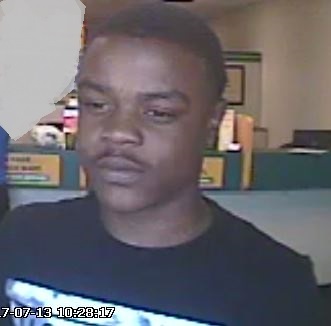 Detectives have been in contact with officials from Advance America and received information that these same suspects were involved in four robberies at other Advance America stores in the Las Vegas area today. 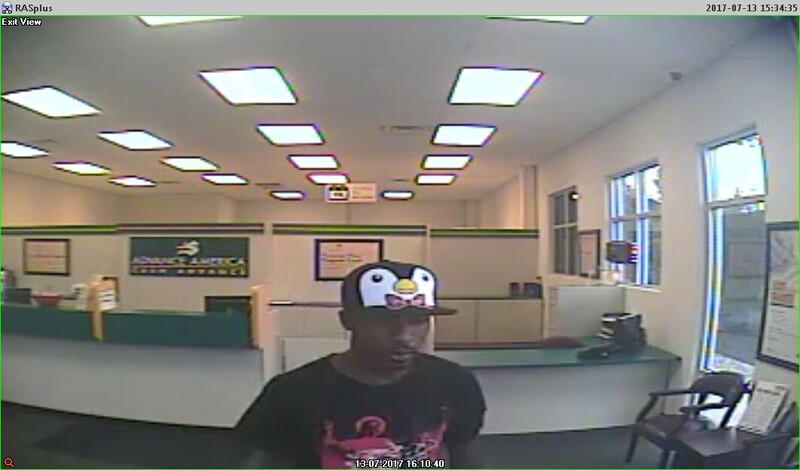 Update: 5:21 p.m. – Authorities confirm that the suspects used a weapon during the robbery at Advance America. The suspects are driving a dark blue or black passenger car described as possibly a Pontiac Grand Am or Mustang with black rims and a temporary license tag in the rear window. There are as many as four occupants in the vehicle: two black males, one black female and a man who is possibly Hispanic. 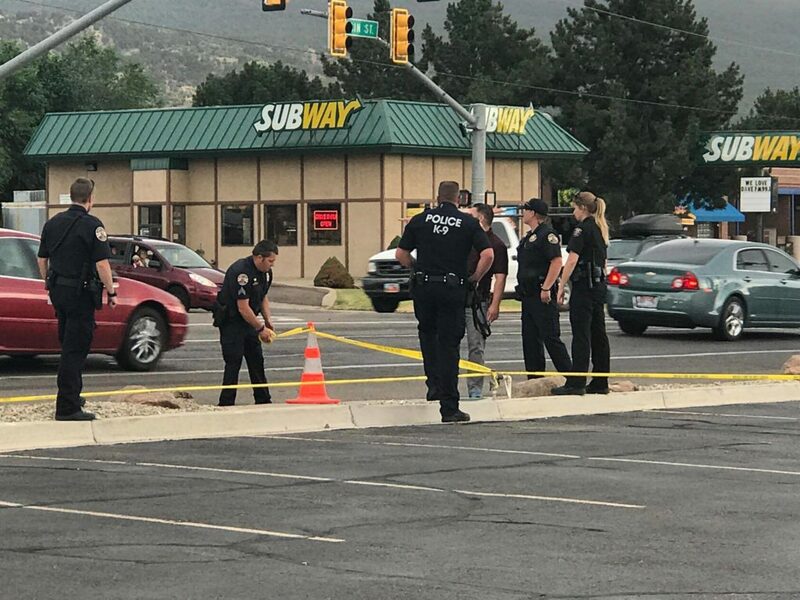 The female is described as wearing very short shorts, Cedar City Police Sgt. Jerry Womack said. 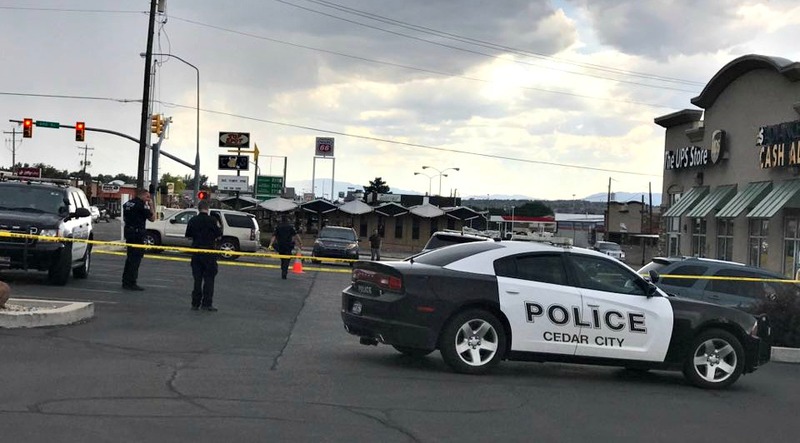 CEDAR CITY – Police are searching for two people wanted in the robbery of a check-cashing service located at 642 S. Main Street in Cedar City Thursday afternoon. Cedar City Police Sgt. Jerry Womack said the suspects are described as a black male and black female, wearing hats. 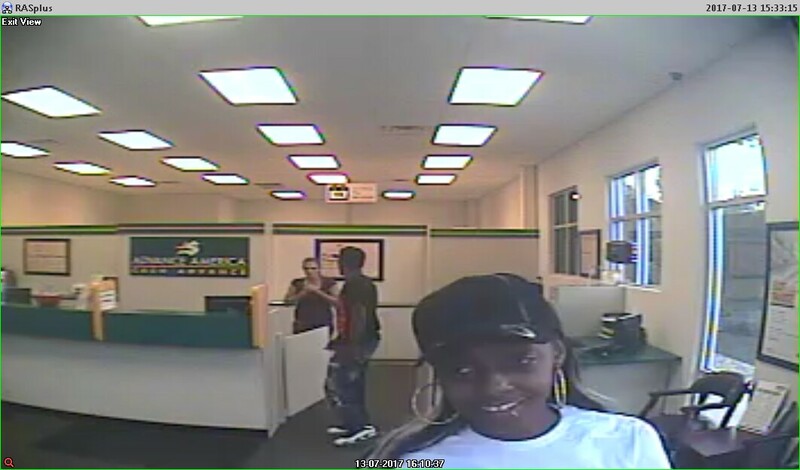 The couple entered Advance America a little after 4 p.m. and demanded money from the clerk, Womack said. 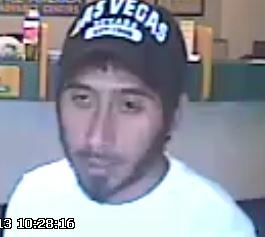 The clerk was also told by the suspects that “if they called anyone, they would hurt their family,” he added. The suspects left the downtown area driving a silver sedan, heading south. Womack said while there is no reason to believe the pair will strike again, he cautioned the public not to approach the couple if they are seen, but to call 911 immediately. They’re already back in Las Vegas…..
Hey I know all three of these guys! The 1st guys name is “Scumbag” (he from Vegas, you can tell). The 2nd guy is “Dirtbag” and the 3rd guy wearing the earrings is “Sacofpoo!” I hope I spelled that right?